For those familiar with the word agroforestry, the name Ernst Gotsch will likely be familiar. Back in 1984 this man bought 1,200 acres of completely deforested land that once hosted a fabulous rainforest. The area had been subsequently re-classified as "Dry Lands" but Götsch was on a mission to establish new ways to work with, rather than against nature. He began much as the Barefoot team have done up in Turkana – and elsewhere, by replanting the naked soils according to a system of natural succession - naming his methodology as "syntropic" agriculture, because he sees it as the opposite of entropy—moving from chaos to energy concentration, organization and life. These agro-ecosystems are mightily powerful and can be achieved by following the simplest ecological principles in combination with time tested land management strategies… and so when we took a deep breath and boarded a flight to the other side of the world to witness them in the flesh, there was more than a flutter of anticipation. Silvopasture, Integrated Livestock, Crop and Forestry (ILCF) and Integrated Livestock, Pasture and Forestry (ILPF) are but some of the abbreviations we are now well acquainted with - and gaaaddd are they something to behold. 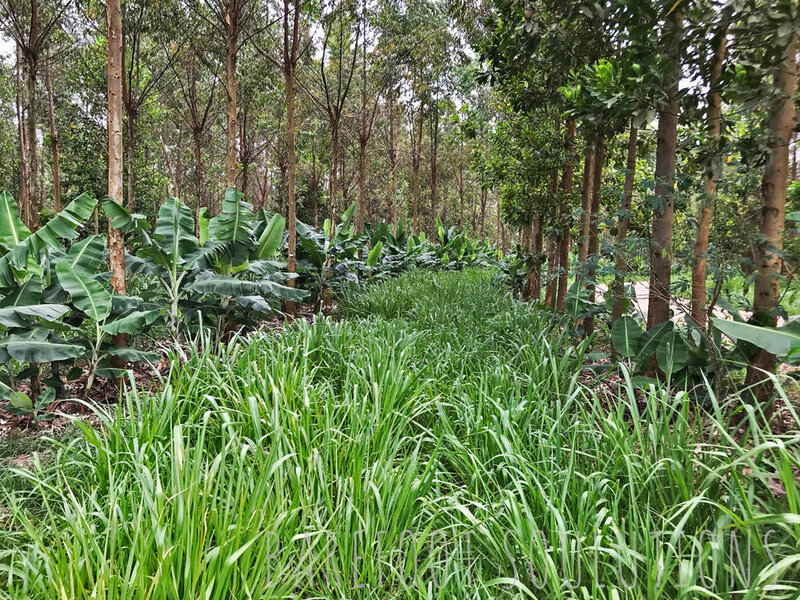 Imagine a line of bananas, intercropped with a gorgeous acacia variety; eucalyptus pruned at 5 meters and a sprinkling of indigenous giants. Take one step to the left and there you are in a row of beautifully disciplined coffee bordered by turmeric, ginger and the odd splash of chillies – citrus varieties of different shapes and sizes and somewhere in this mix is guava and mango. But it is the order and hierarchy that sets this system apart from your average forest… these people know what they're doing. There is so much we saw, so much we still have to learn – and later follow up with plenty of action, but as the year draws to a close its time to reflect on all that we have done, rest a little and gear ourselves up for all that 2019 holds for this small – but mighty team. Thank you all for being a part of our adventures and good luck with your own moving forward.